This season, her collection pushes existing design favourites and menswear staples into new territory – as seen by her latest lookbook, debuted exclusively above. 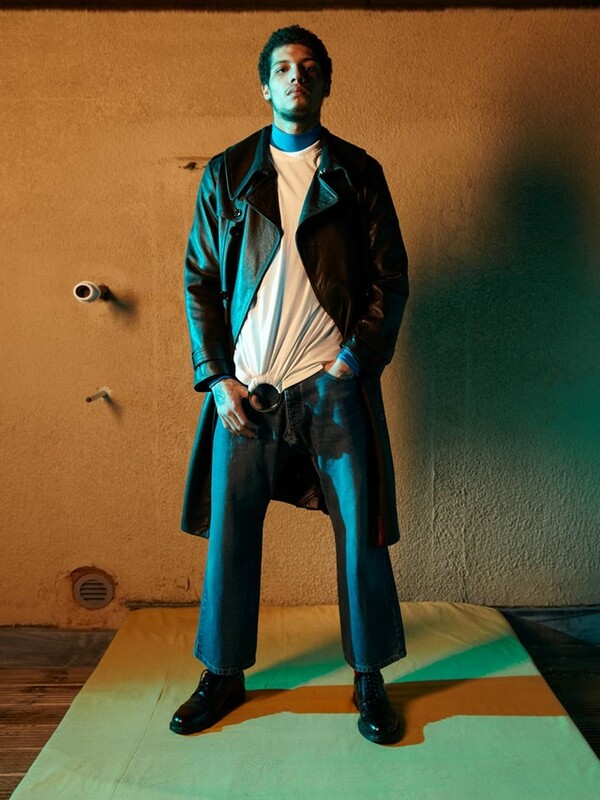 Her signature super-wide trousers come topped with leather chaps, a classic MA-1 has unexpected cut outs at the elbow, and t-shirts gather around a metal ring. Fascinated by the ephemera of youth, Rose also teamed up once more with Steve Terry of Wild Life Archives, whose staggering collection of vintage rave flyers first appeared on her AW14 collection (which Rihanna wore for a week straight). The lookbook also features a female model – perhaps a nod towards the way Rose’s designs have been adopted by girls as much as boys. Never one to be tied down to the standards of fashion collection presentation – let alone the system itself – this month Rose returned from taking two seasons out to debut her latest designs on film. Described as a “colour-drenched erotica throwback to masters such as Kenneth Anger and James Bidgood,” she teamed up with filmmaker Sharna Osborne for a VHS take on the collection, premiered during LC:M by the The British Fashion Council Fashion Film initiative, sponsored by River Island. Check out the lookbook in the gallery above and watch the film below.